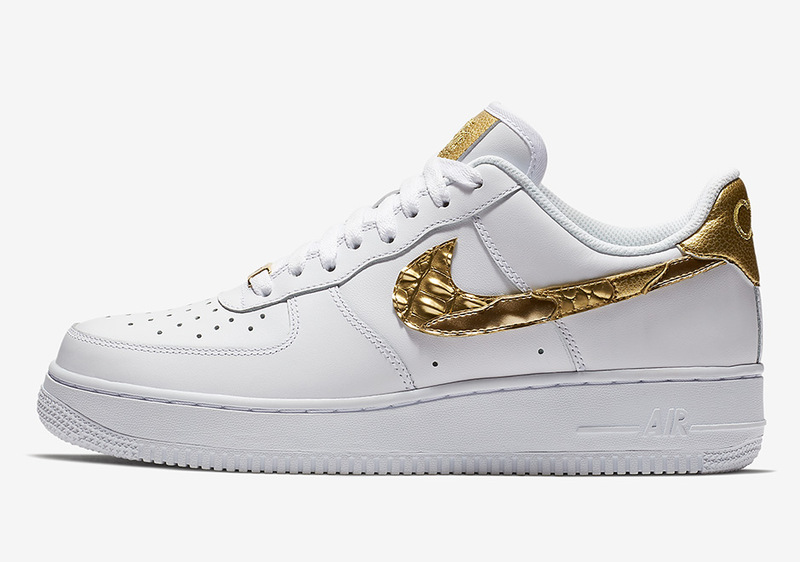 Update: The Nike Air Force 1 Low CR7 “Golden Patchwork” releases in the US on January 11th, 2018 for $100. 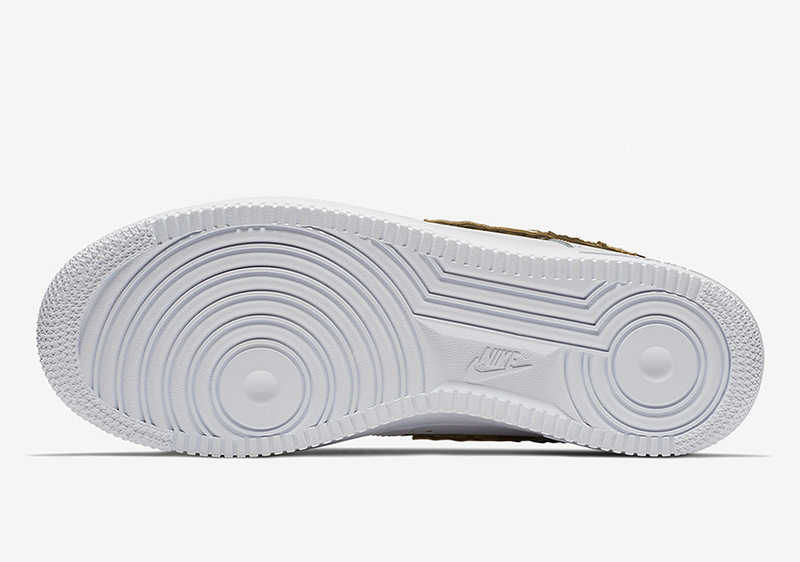 The story of Cristiano Ronaldo’s childhood has been well documented by Nike, culminating with the release of the Air Max 97 CR7 that released in October. 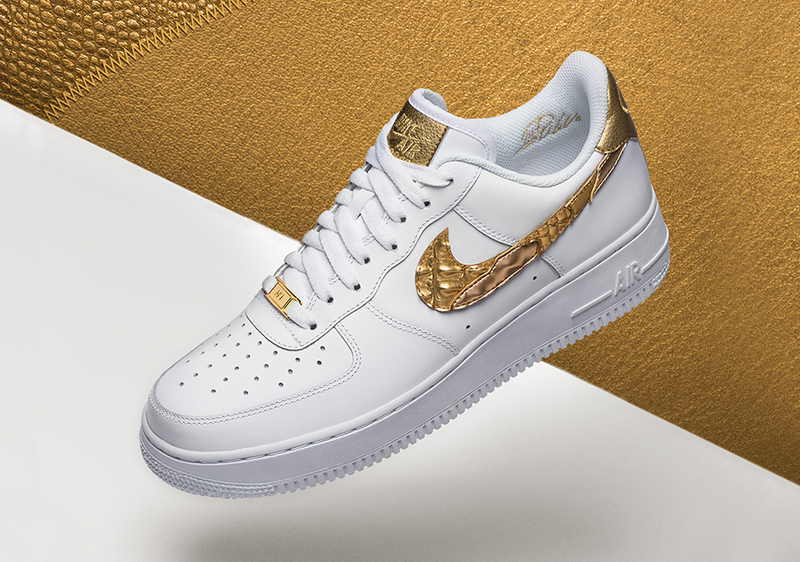 Ronaldo’s personal Air Max creation featured patchwork paneling adorned in gold that was inspired by his humble beginnings that have helped him become one of the greatest football players of all time. 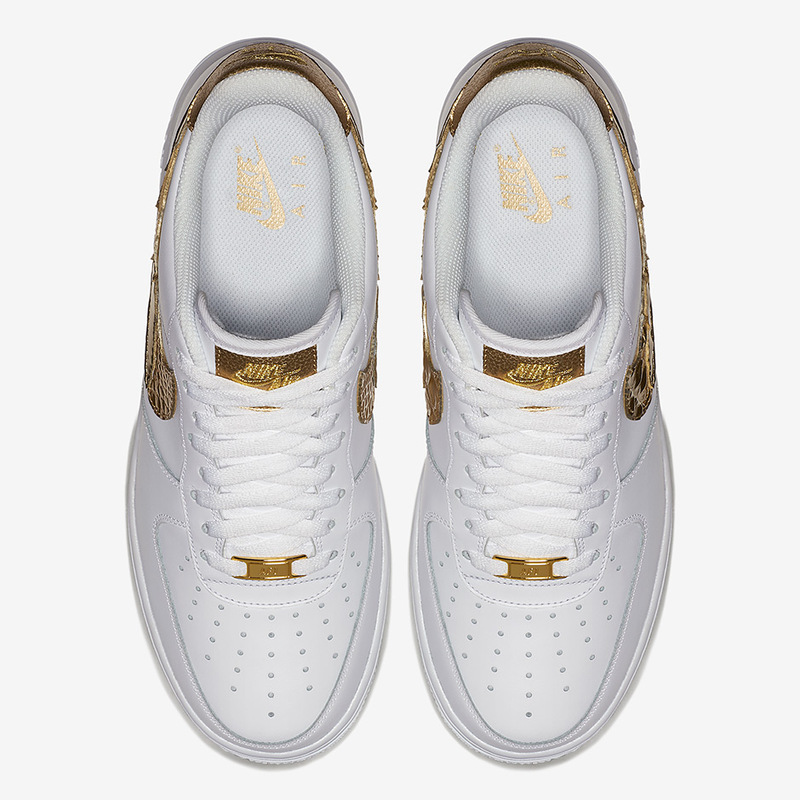 The Swoosh is paying its respects to the all-time legend once more with a special edition Air Force 1 Low iteration that utilizes that same golden detailing with a bit of a different construction. 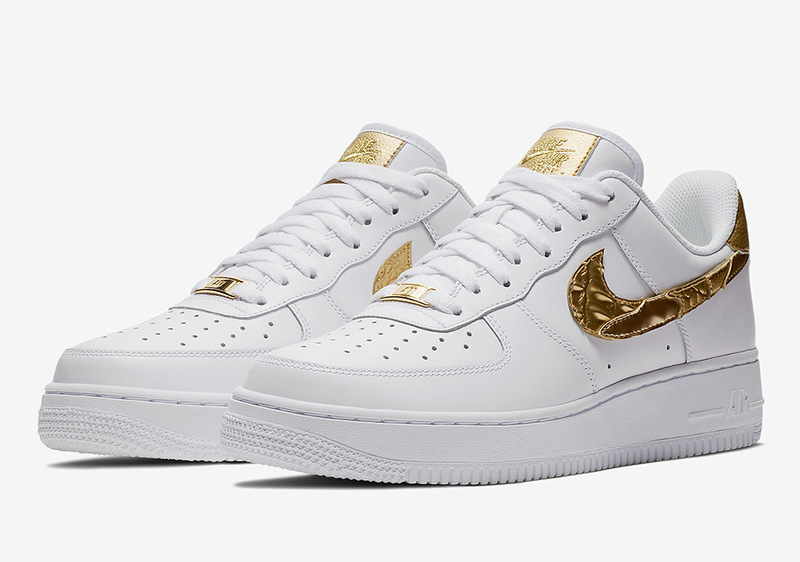 The iconic Air Force 1 Low stays consistent with its primarily white color blocking along with hits of that royal hue on the swoosh, dubrae, and both the tongue and heel tab alike. The “Golden Patchwork” aesthetic pays homage to Ronaldo’s mother and her sewing skills, as she would patch number 7’s cleats up every time he would wear a new hole in them growing up. 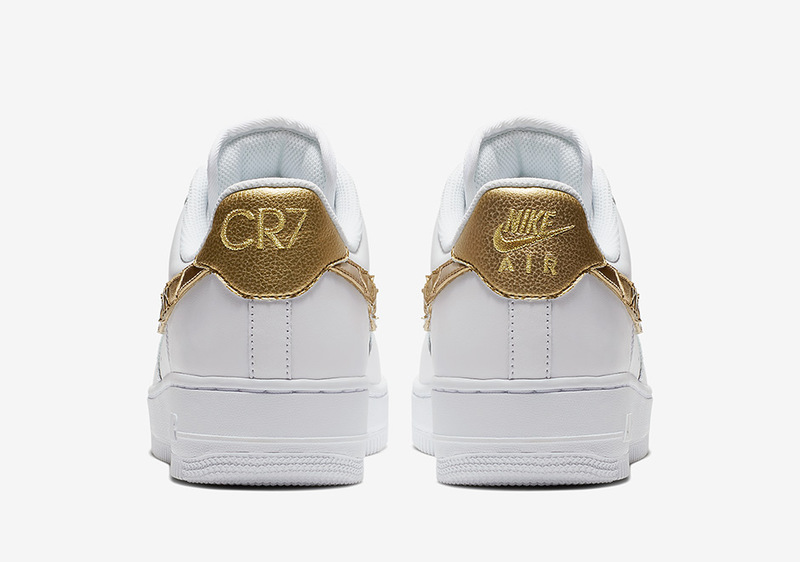 Finishing off this tribute is “CR7” branding on the left heel tab, as well as Ronaldo’s signature emblazoned on the interior paneling of the shoe. 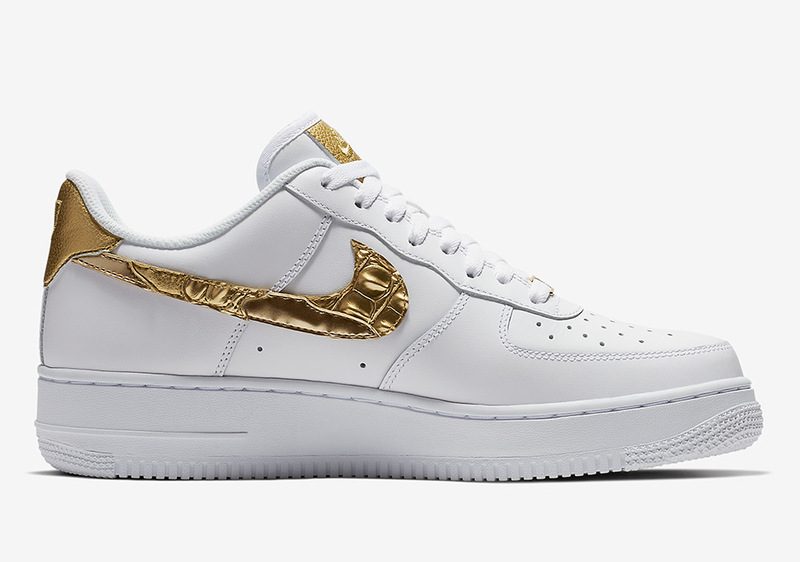 The Air Force 1 Low CR7 “Golden Patchwork” will drop at Nike Sportswear retailers on December 7th, and is expected to be available in a limited quantity.